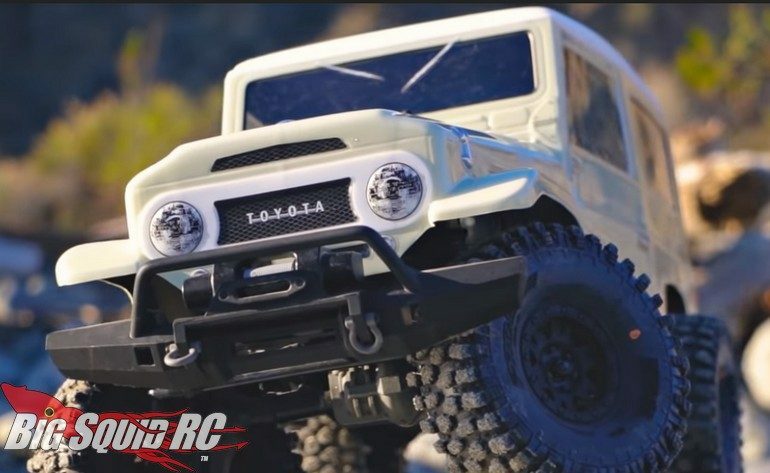 Video – Pro-Line 1965 Toyota Land Cruiser FJ40 Body For The TRX-4 « Big Squid RC – RC Car and Truck News, Reviews, Videos, and More! The Pro-Line crew turned a lot of heads with their new 1965 Toyota Land Cruiser FJ40 Body, now you can see it in action! That’s right, Pro-Line has a new video for their classic FJ40 body that shows off just how scale it looks while being driven. With incredible scale detailing the P-L Land Cruiser is a great upgrade for your Traxxas TRX-4, or any other 12.8″ wheelbase scale crawler. To get full details on the 1965 Toyota Land Cruiser FJ40 Body simply hit up the link, or you can click Right Here for more P-L news on BigSquidRC.